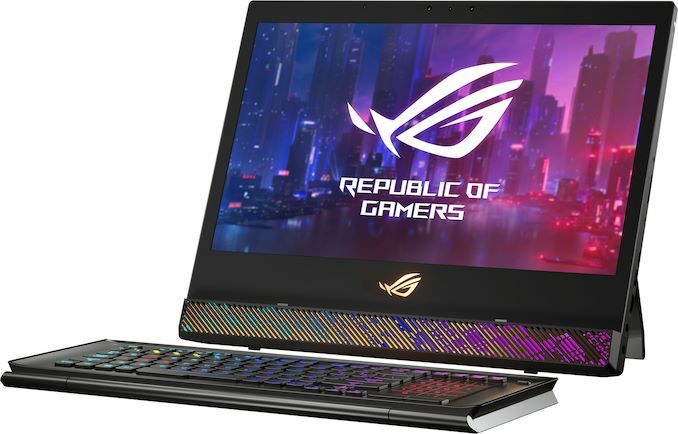 ASUS has introduced its unique ROG Mothership GZ700GX convertible desktop replacement laptop that combines performance, mobility, and versatility of a desktop computer. 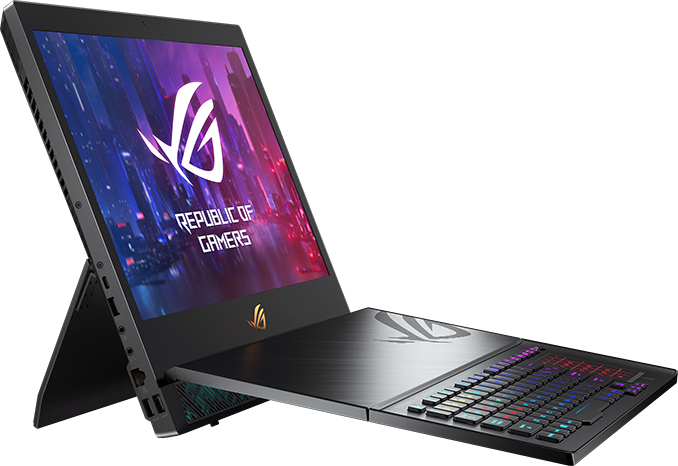 Equipped with a G-Sync-enabled 17.3-inch display featuring a maximum refresh rate of 144 Hz, the notebook is powered by Intel’s six-core Core i9 processor as well as NVIDIA’s GeForce RTX graphics. Traditionally, 2-in-1 and convertible laptops are meant to provide benefits offered by notebooks and tablets, so they are supposed to be light and portable. 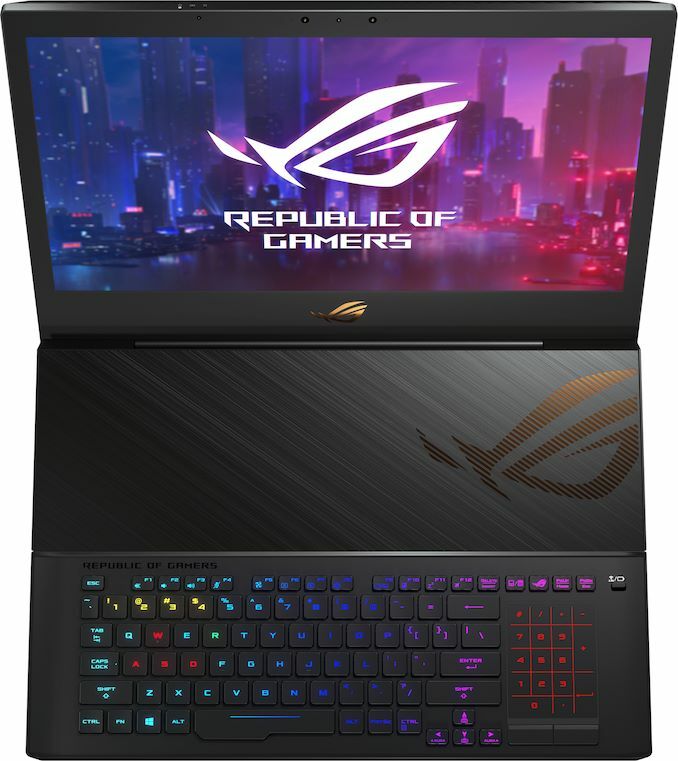 With its ROG Mothership GZ700GX, ASUS rethought the concept by combining a standard large gaming laptop with a 2-in-1 in a bid to improve cooling of internal components (i.e., boost performance) and provide some additional comfort. 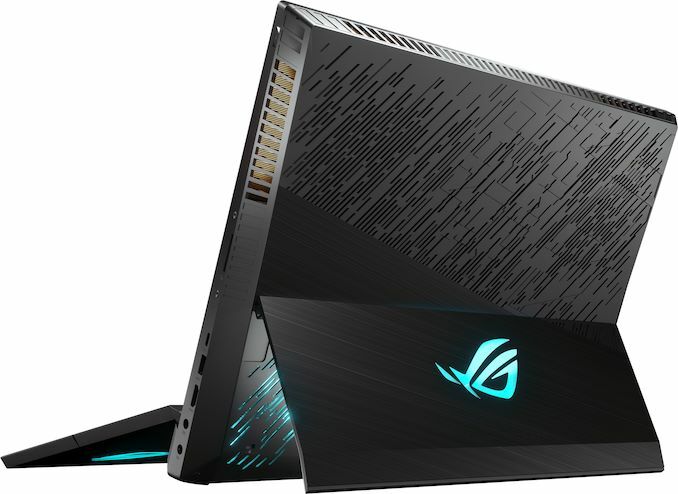 Three years ago, engineers from ASUS concluded that high-performance laptops starved for airflow because the air intake on their bottoms could not draw enough air to cool down hot components. As a result, they decided to put key components behind the display instead and found that temperatures were indeed lower this way. 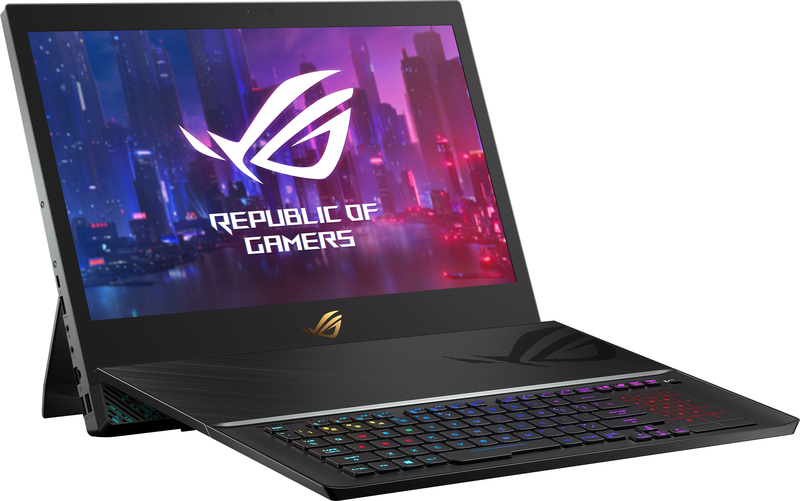 Designers from ASUS also found that gamers prefer to put their keyboards in various positions on their desk, which is not possible if a laptop keyboard is used. Therefore they determined that they needed to go with a detachable wireless keyboard with a numpad too. Essentially, the ROG Mothership is a relatively small CNC-machined all-aluminum all-in-one desktop PC featuring a 17.3-inch Full-HD display with a kickstand that can be easily transported and which offers performance and features of higher-end desktop gaming machines. 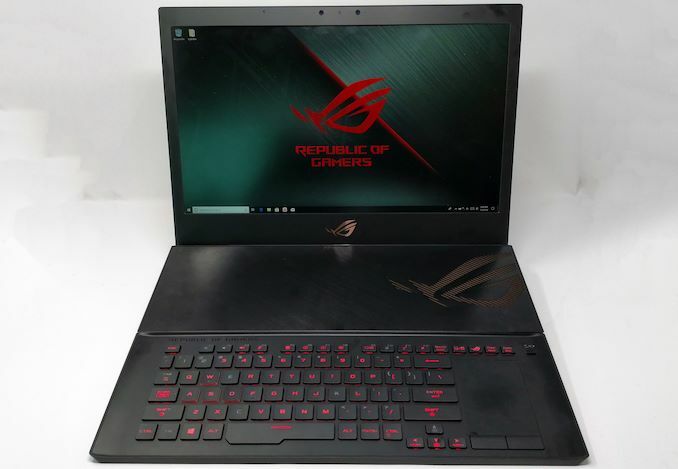 The ASUS ROG Mothership GZ700GX convertible is based on Intel’s six-core overclockable Core i9-8950HK processor accompanied by NVIDIA’s GeForce RTX 2080 graphics chip with 8 GB of GDDR6 memory. The CPU works at up to 4.3 GHz with all six cores activated, but actual clocks of the GPU are unclear. To cool down both chips as well as their VRMs, ASUS uses a special cooling system comprised of four large heatsinks featuring 375 0.1-mm thick copper fins in total as well as two powerful 12 V blowers. 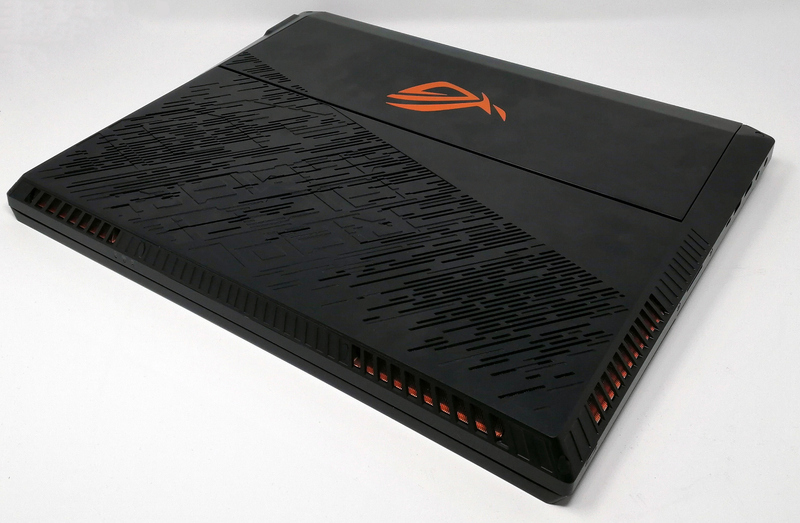 The system can be equipped with up to 64 GB of DDR4 memory as well as four PCIe 3.0 x4 SSDs, two of which are attached directly to the CPU to provide an extreme bandwidth (this also means that the GPU has four PCIe lanes in its possession). 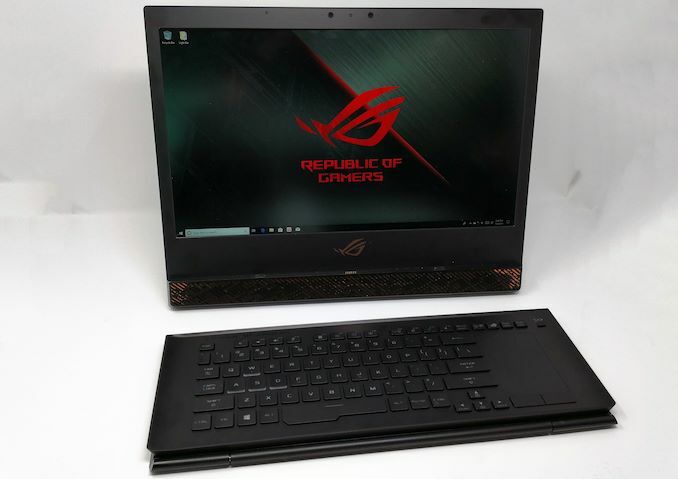 Connectivity wise, the ROG Mothership GZ700GX offers a fairly standard set of technologies that includes an 802.11ac/802.11ax Wi-Fi with Bluetooth 5.0 controller, a GbE, a Thunderbolt 3 port, a USB 3.1 Gen 2 Type-C/VirtualLink connector, three USB 3.1 Gen 2 Type-A headers, an HDMI 2.0 output, an SD card slot, as well as 3.5-mm audio jacks for a headset and a microphone. In addition, the PC has a Windows Hello-compatible webcam, four speakers, a microphone array, and a bunch of programmable RGB LEDs to make the thing look trendy. 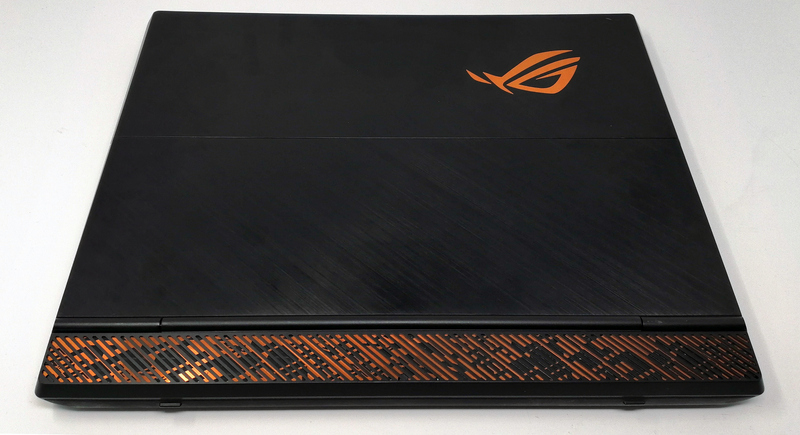 Being very powerful, the ASUS ROG Mothership GZ700GX is also pretty large. It is 41 cm wide and nearly 3 cm thick, so it is not going to be easy to carry around, especially keeping in mind that its weight totals 4.7 kilograms. Battery capacity of the unit is unclear, but the convertible machine comes with two 280 W power supplies. 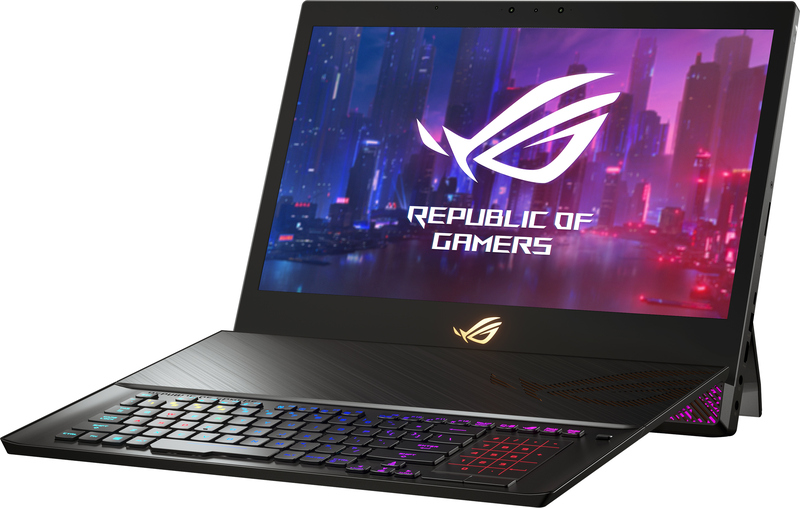 The ASUS ROG Mothership GZ700GX will be available in the second quarter. ASUS plans to disclose the final configuration(s) of the convertible notebook at launch, along with the price. "The system can be equipped with up to 64 GB of DDR4 memory as well as four PCIe 3.0 x4 SSDs, two of which are attached directly to the CPU to provide an extreme bandwidth (this also means that the GPU has four PCIe lanes in its possession)."